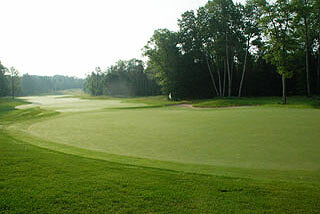 Located in Onaway in Northern Michigan, Black Lake Golf Club is a UAW owned and operated facility and one of the top golf experiences in the state. Designed by Rees Jones as an environmental-friendly, this course has been certified by the Michigan State Stewardship Program and the Audubon International as an Audubon Cooperative Sanctuary. This review was done on an early July morning, and I have never seen so many deer (that are comfortable with the presence of golfers) on a golf course - ever. The golf facilities are part of the UAW complex which includes a swimming pool, fitness center, locker rooms with showers, sauna, softball and soccer fields, tennis courts and other recreational amenities. The practice facilities at Black Lake are comprehensive and include a targeted grass range plus short game area with 4 greens for chipping and for practice out of sand bunkers. The clubhouse features a pro shop, beautiful and spacious restaurant/lounge with outdoor patio open for breakfast, lunch and dinner, plus locker rooms with showers. 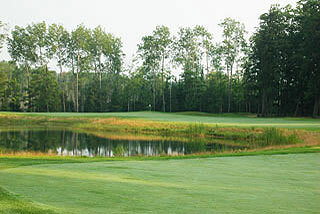 The Little Course at Black Lake is a 9-hole par three with holes ranging from 33 to 117 yards, playing to a total length of 773 yards. On course sprinkler heads are measured to the center of the green, as are the 100, 150 and 200 yard markers. Color coded flags indicate the day's front, middle and back hole locations. 150 yard stakes are also present on all par fours and fives. There are 5 sets of tee boxes which play to distances and slopes measuring 7046 yards/138 slope, 6743 yards/134 slope, 6401 yards/130 slope, 5831 yards/129 slope for men and 136 for women, and 5058 yards with a slope of 120 for lady golfers playing from the forward tees. All tee boxes also have yardage blocks. This course is extremely secluded, with no residential properties and with parallel holes separated by thick lines of trees. 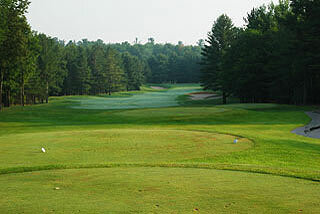 In fact all holes are tree-lined, with frequent doglegs along manicured, rolling fairways that feature numerous elevated tees and both uphill and downhill approaches. There are approximately 63 sand bunkers and waste areas located along the landing zones or green-side, and water in the form of ponds or wetlands comes into play on 6 holes. Many of the green complexes are raised but there is a great variety in design to keep it interesting. 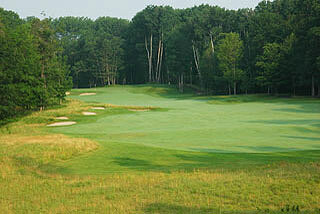 The putting surfaces roll quick and true, and range from mildly to extremely undulating. 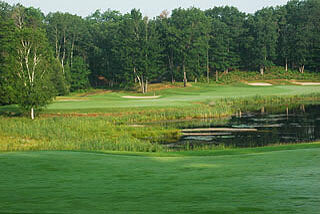 Black Lake has received numerous accolades including 34th out of the Top 100 Greatest Public Golf Courses in America in 2009-10 by Golf Digest, and Top 50 Courses for Women by Golf for Women in 2007. 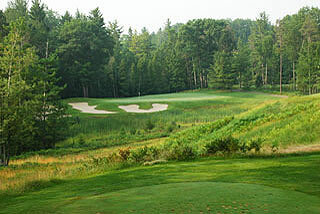 There is not one artificial mound on the course, as this layout was designed totally from the natural terrain. The conditioning on our visit was immaculate from tee to green -and pricing is very reasonable. We highly recommend a round here! 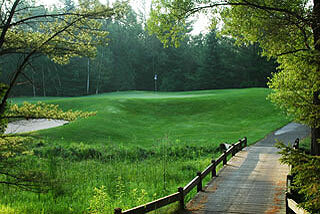 The Black Lake Golf Academy offers clinics and group and individual lessons of all kinds. 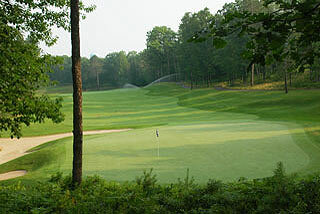 For more info on the course and facilities, visit our page for Black Lake with direct link to their website by clicking here.